Astronaut Buzz Aldrin Says I Saw a UFO; Three Other Astronauts As Well | Have Ye Not Read? 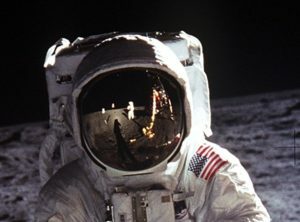 According to the above news article, Apollo 11 astronaut Buzz Aldrin, now 88 years old and the second human to set foot on the lunar surface in 1969, admits seeing a large L-shaped Unidentified Flying Object while in space. What’s more, Apollo 15 pilot Al Worden, 86, apparently stunned Good Morning Britain viewers by admitting to having seen extra-terrestrials. And to add fuel to the fire, Apollo 14’s Edgar Mitchell claimed to have seen several UFOs, while astronaut Gordon Cooper actually described trying to chase a cluster of objects. All of the astronauts are said to have been tested by new technology more advanced than normal lie detectors, and were found to be telling the truth. What’s Up With All of the Recent UFO Talk? So what’s up with all of the recent news about UFOs and “alien” encounters, with a variety of government agencies now releasing video, audio and printed accounts of UFO encounters from reliable sources? The distinct possibility is that the powers-that-be are now “grooming” the people of this world to be mentally and emotionally ready for the arrival of Satan and his fallen angels to this earth. Of course, when the Scriptures say “and the great dragon was cast out…into the earth…and his angels were cast out with him” they’re obviously not going to come falling headlong to this earth from the sky, screaming as they come crashing to the ground. No. That’s not how it works. Once in the material dimension, angels have material bodies and travel in material vehicles, just like humans do. Yes, I’m talking about those great big, highly-polished whirling circular vehicles described in Ezekiel chapter one and many other places throughout the Bible. So, are the multitudes of this world now being prepared for the advent of the false one and his fallen angels? Considering the recent events in the Middle East, I’d say it’s a distinct possibility. If you’d like to read a comprehensive Bible study documenting straight from the Scriptures, in great detail, the vehicles used by God and His angels, as well as by Satan and his angles, whenever they enter into this material dimension, see The Church and the Vehicles of God.